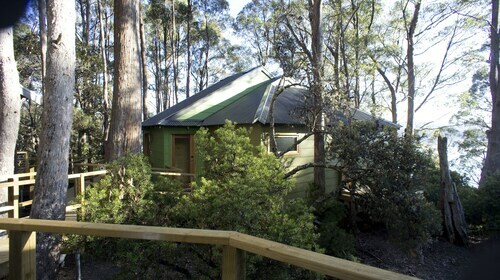 Situated in Derwent Bridge, this cabin is 0.7 mi (1.1 km) from The Wall in the Wilderness and within 6 mi (10 km) of Walls of Jerusalem National Park and Cynthia Bay. Bronte Lagoon and Tarraleah Golf Club are also within 32 mi (52 km). Situated in the mountains, this hotel is 3.5 mi (5.7 km) from Bronte Lagoon and within 32 mi (52 km) of The Wall in the Wilderness and Five Mile Pinnacles Conservation Area. The Steppes State Reserve is 32.2 mi (51.8 km) away. Considering a trip to Derwent Bridge? There are only 3 options within 5 kilometres of the town centre. Wotif recommends looking at the Derwent Bridge Chalets & Studios and Lake St Clair Lodge if you'd like to be near the main streets. If you find yourself needing more accommodation options in Derwent Bridge, try the Lodge at Tarraleah and the Tarraleah Estate. They are 25 kilometres and 25 kilometres away from the city's main streets. 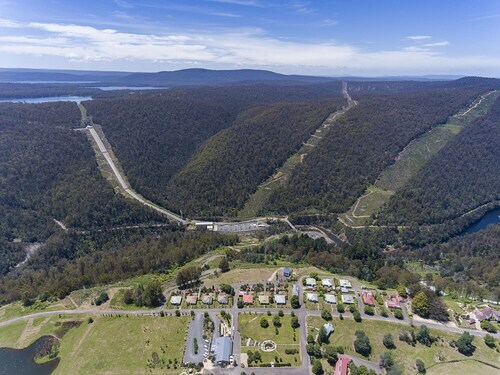 Further alternatives include the Highland Cabins and Cottages, 20 kilometres away, and the Pumphouse Point, 4 kilometres. After you've thoroughly explored Derwent Bridge, why not tour a little more of the region? The Midlands region has many other things to see. Check out the traditional villages, historic bridges and history museums. Visitors should also take in the region's rural landscapes and lakes. Adventurous types can also try mountain climbing, hiking and camping. The nearby localities of Bothwell and Fitzgerald are definitely worth exploring. Bothwell is 65 kilometres to the east of Derwent Bridge, while Fitzgerald is 75 kilometres to the southeast. Hotels and apartments in Bothwell are the White's Corner and Ratho Farm. 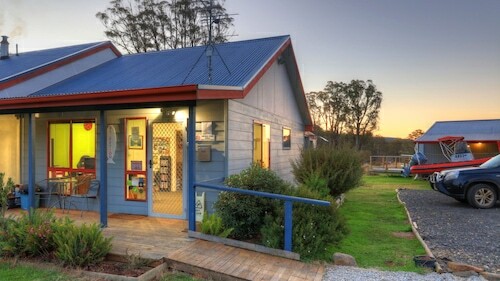 Fitzgerald options are the Maydena Country Cabins Accommodation & Alpaca Stud and Giants Table and Cottages. Situated 100 kilometres away from Derwent Bridge is Launceston Airport. Stay nearby at the Relbia Lodge or the Arendon Cottage. How Much is a Hotel Room in Derwent Bridge? Hotels in Derwent Bridge start at AU$118 per night. Prices and availability subject to change. Additional terms may apply.